Biking is good exercise and great fun. And road bikes enable high speed cycling. This means that you are reaching over a large area during a trip, and that you will get meny impressions from the bike seat. How to Determine Mountain Bike Size? Frame Size: Frame Size refers to the length of the seat tube. Most often it is measured from the base to the top (Center-to-top (C-T) frame size). 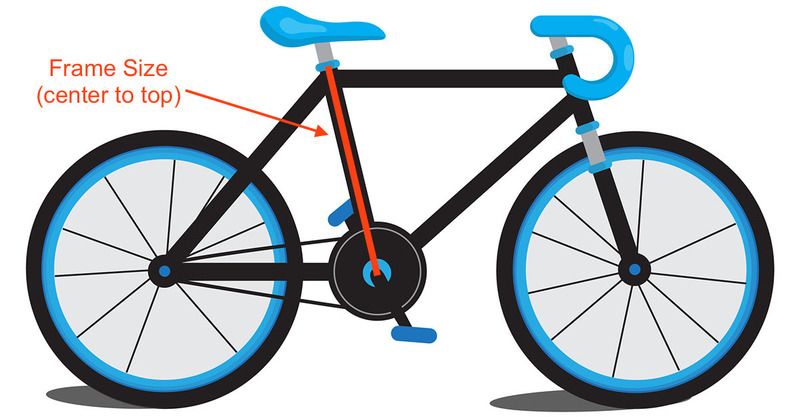 Note that some bike manufacturers (most often European) use a Center-to-center (C-C) frame size reference. Then the lenght of the seat tube is measured from crank center and up to center where seat tube meets the top tube. NOTE: In the size chart below, Center-to-top frame size is used! This road bike size chart is unisex. Tips, Tricks or Questions about Road Bike Size? Tips, tricks or questions about Road Bike Sizing? Please post it below. Thanks!